Pinetown-based Beier Industries (Pty) Ltd is a South African success story. The third-generation company, which has been in business for over 80 years, is not only one of the country's oldest and most innovative industrialists, but it is still enjoying growth. The Beier Group grew from small beginnings when in 1929, OTH Beier, a young pioneer, left Germany against the wishes of his family and established himself in Durban as a wool merchant. In 1931 OTH Beier received an offer from Storm and Company to manage their newly commissioned scouring plant. He accepted the challenge and within a short time, exports to Europe commenced. Two years later he concluded an agreement to take over the scouring plant from Storms. As the economy of the country steadily improved, OTH Beier saw the vast potential for industrial development in South Africa and embarked on a policy of diversification and expansion, which has continued to the present day. Each segment of Beier Industries produces quality products that consistently meet the demanding requirements of its customers. Beier Safety Footwear (Pty) Ltd is part of Beier Industries (Pty) Ltd and is the leading supplier of safety footwear in Southern Africa, producing a wide range of safety boots and shoes. 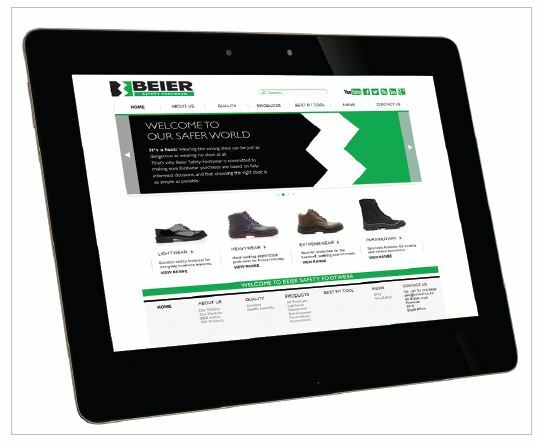 Beier Safety Footwear is at the forefront of manufacturing technology, particularly its polyurethane (PU) injection process, used in the production of both outer and inner soles. 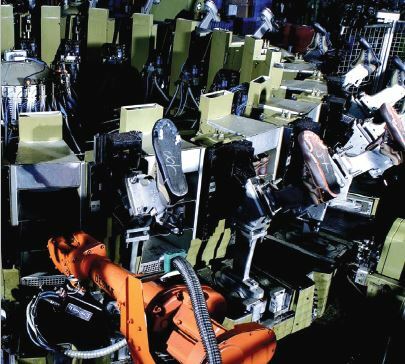 Pre-programmed robots perform essential functions during this process. Machinery is imported from Desma of Germany and is widely recognised as being the best available. When it comes to quality, Beier is unyielding and research personnel focus on the fact that technological innovation and excellence are the key to the future. The positive impact of ISO 9001 accreditation has assisted in the on-going quest to lower costs for the benefit of customers. Beier Envirotec is a leading manufacturer of technical textiles and filtration media. It manufactures a wide range of nonwoven fabrics, which are produced by the needle punch process for the automotive industry. Nonwoven fabrics are also manufactured for use as the key filtration component in the production of automotive air and oil filters. Police Footwear, PVC/ Nitrile Gumboots. Textiles, Suppliers of pollution control plants. materials for Automotive Products, Heavy woven Fabrics. Albany International of USA & Beier Industries.